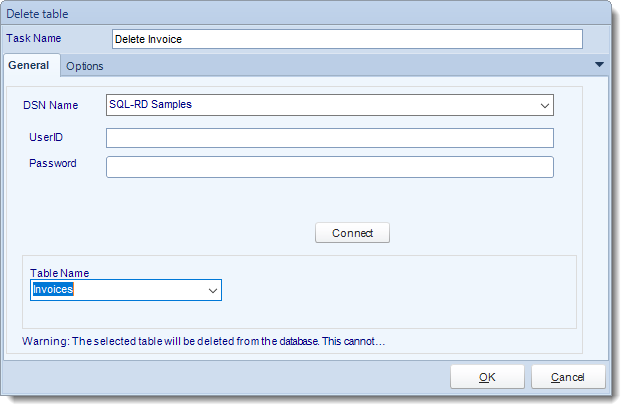 How do I set use "Database" Customs Tasks in SQL-RD? 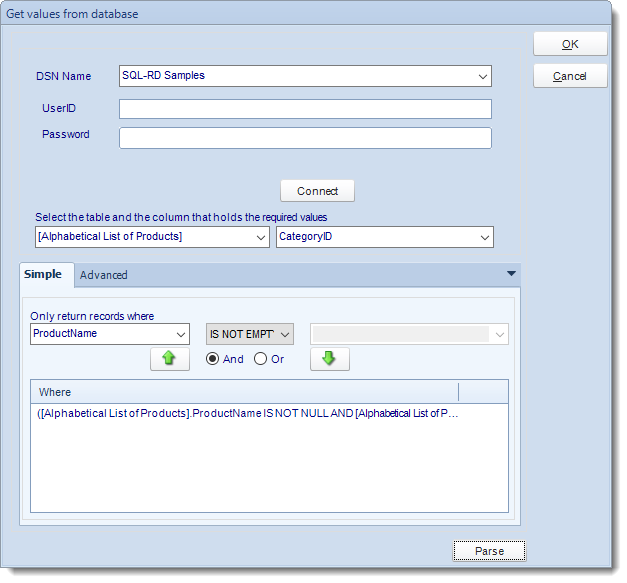 The Database module forms a core part of SQL-RD's data integration capabilities. 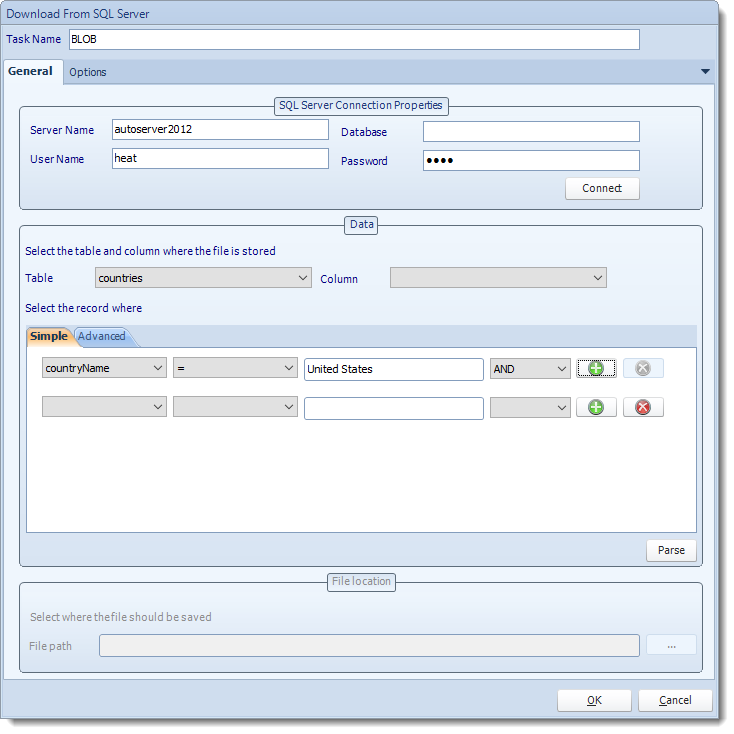 With the ability to automatically update databases, create tables, and edit records, you can automate thousands of database processes. One of the most powerful features in SQL-RD, The Database module forms a core part of SQL-RD's Data integration capabilities. With the ability to automatically update databases, create tables, and edit records, you can automate thousands of database processes. 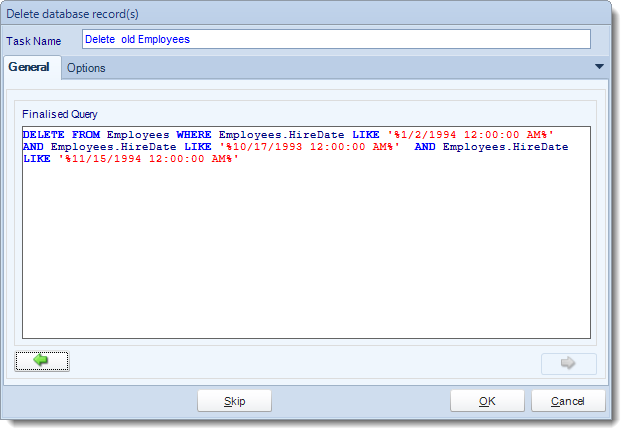 Tip: Combine the Database Tasks with the Event Based Schedule to create database alerts and data migration processes. 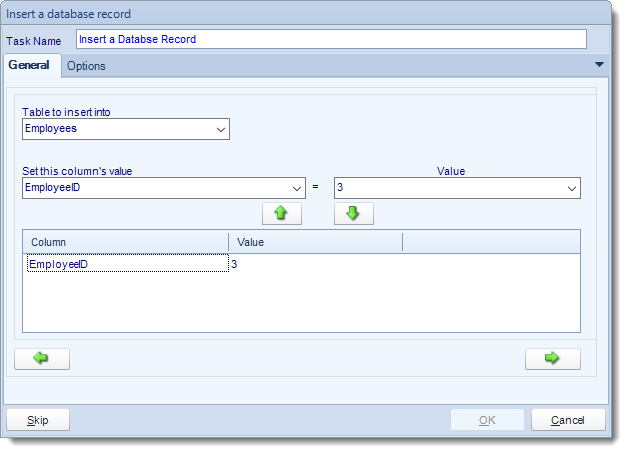 IMPORTANT: These tasks will make modifications to database tables which, in some cases, may be irreversible. Please ensure that you review the resulting scripts and test them thoroughly on a Test system before committing them to your production (live) system. Make sure you take a full backup of your database before any testing. Script Location: Browse to locate the script. 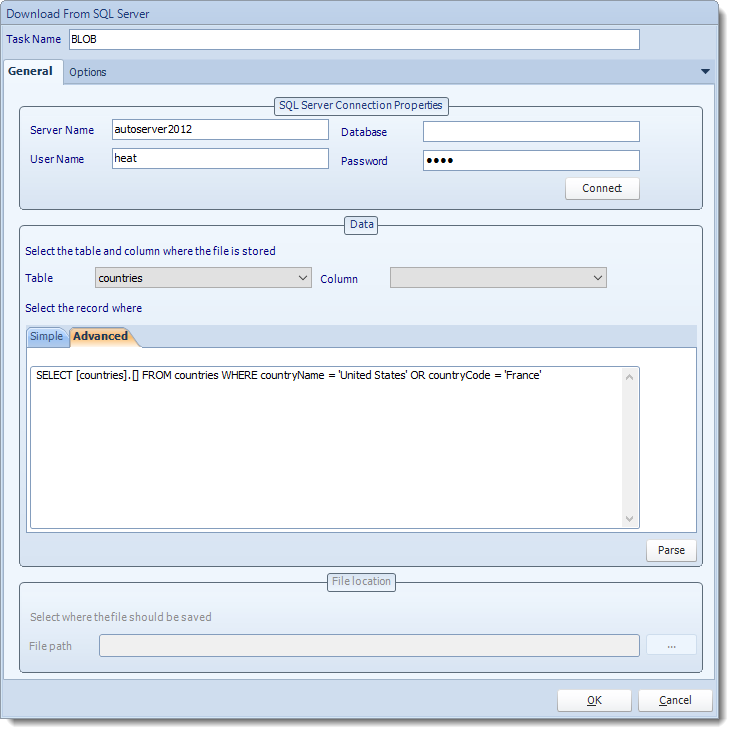 SQL Server: Enter the SQL Server credentials. 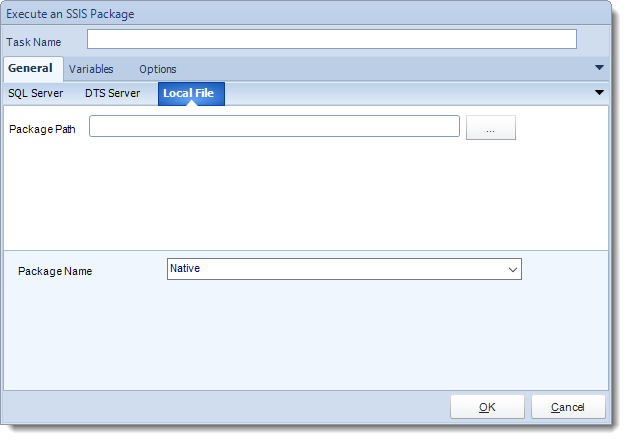 Package Name: Select the package from the drop down list. 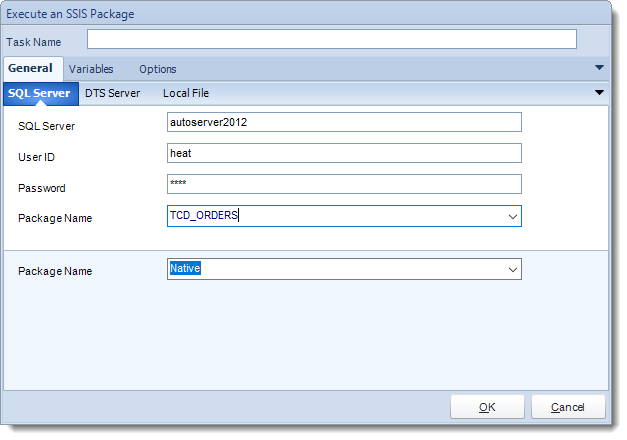 DTS Server: Enter the DTS Server credentials. Package Path: Write down the package location. 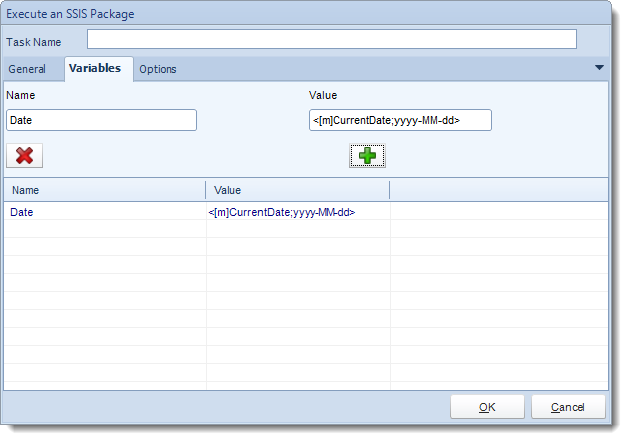 Package Path: Click (...) to search the package location. 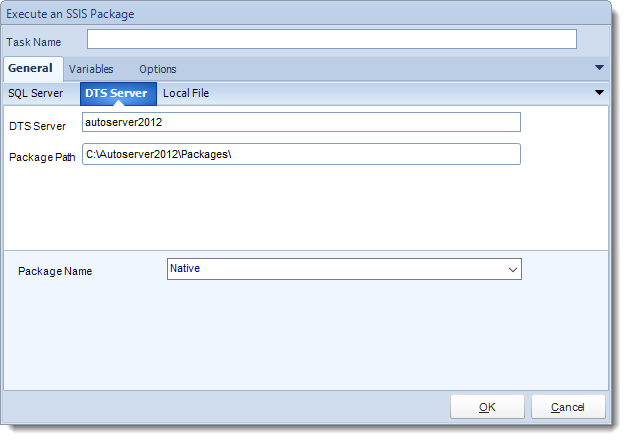 Add and delete variables for the SSIS package. Table: Select the table containing the record you wish to update. Update this column: Select the Column you wish to update. Set its value to: Enter the new value. 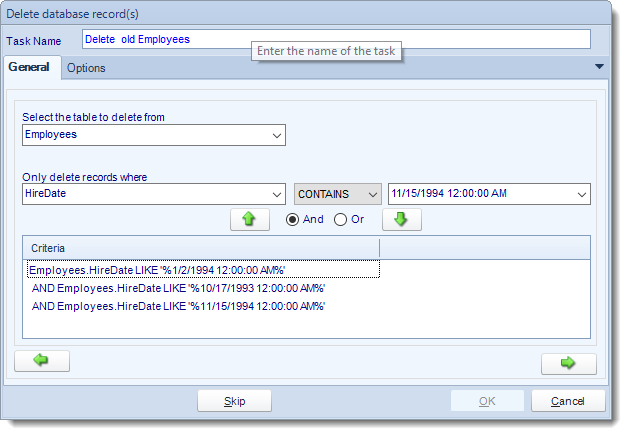 Tip: Use Event or Data Driven data to update multiple records in the table. It is as easy as drag and drop! Click green down arrow to add the change. Click green right arrow to continue. 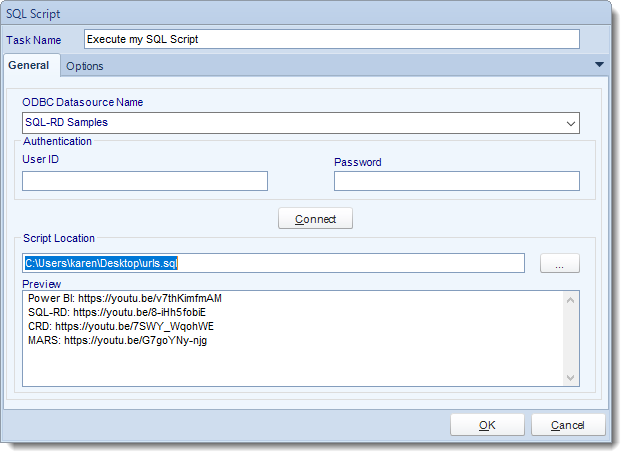 Review the completed script and make any modifications manually where required. Table: Select the table to insert the record. Column Value: Select a column. Click green down arrow to add to the list. 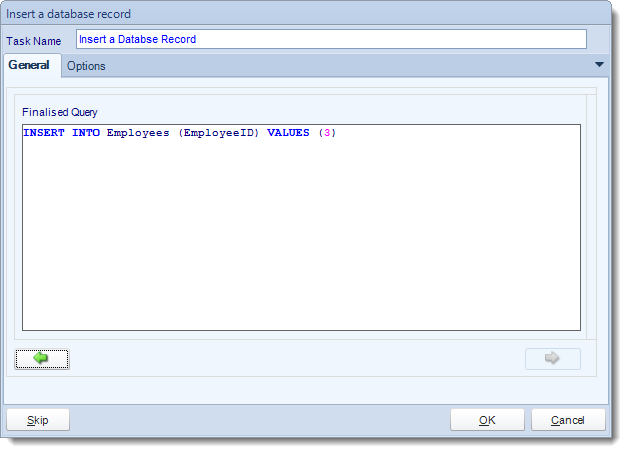 Review the SQL statement and make modifications manually where required. 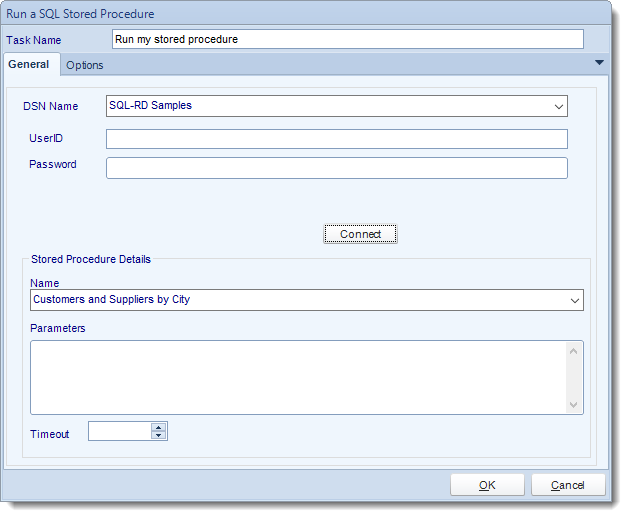 Select a Stored Procedure from the list and enter any required parameters. 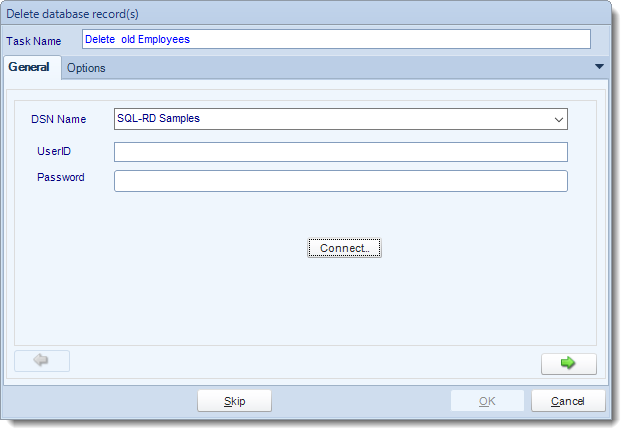 Connect to the database and select "myproc" from the list. 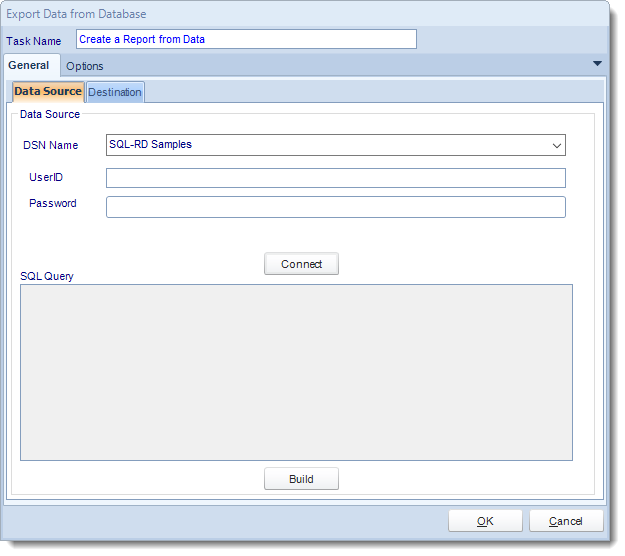 With this task, you can pull data directly from a data source and in any output format, then deliver the report to a destination. 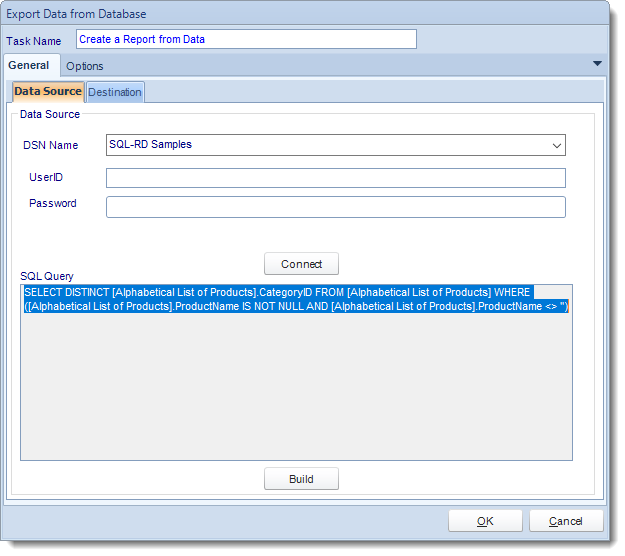 Build your query using the Query Tool. Go to the Destination Tab. There you can add a destination for the report. For more information of Destination, click here. Form more information of Output Formats, click here. 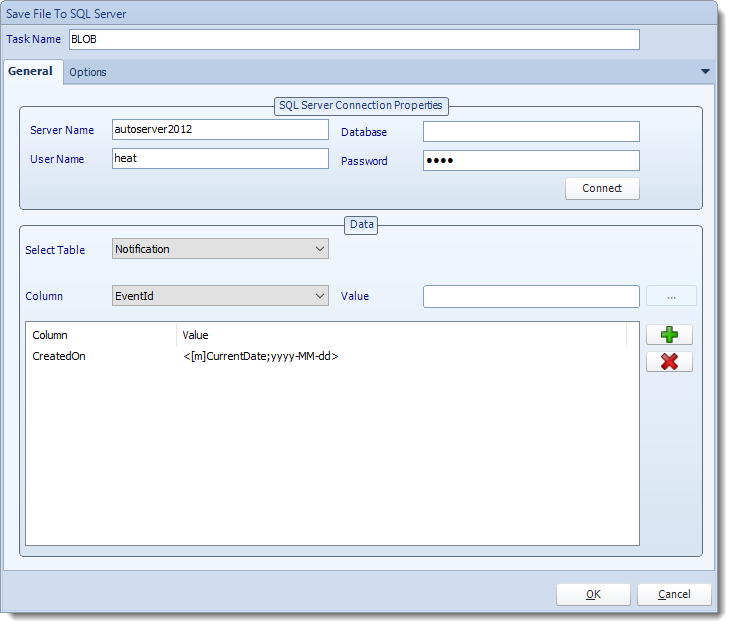 SQL-Server Connection properties: Enter the SQL Server credentials. 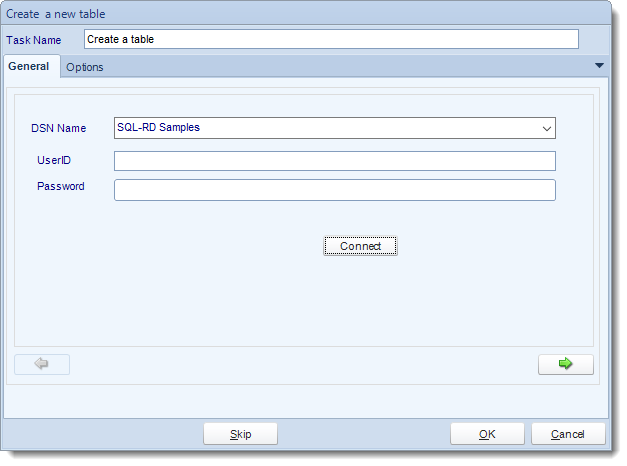 Table: Select the table from the drop down list. Value: set the value of the column. Use (+) to add more columns a values as required. Records: Define which records are to be downloaded from the table using a SQL Query. Parse: Test the query, ensure the correct data is being shown. 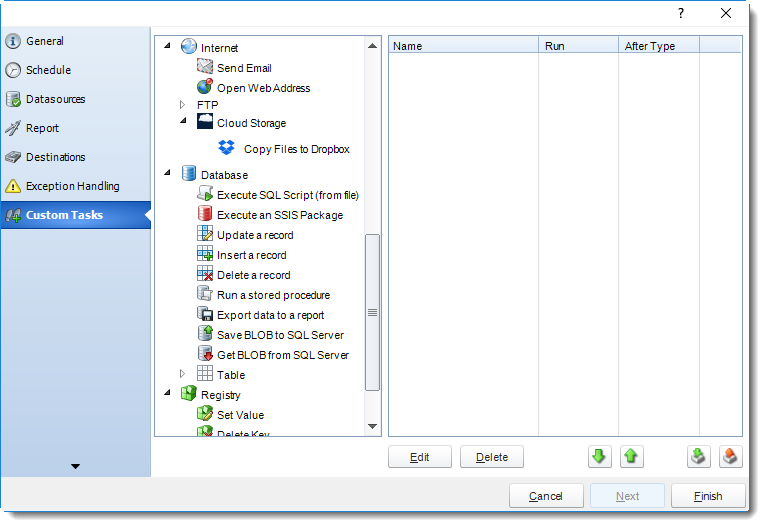 File path: Use (…) button to navigate to the folder where the data is to be stored. Table Name: Give the new table a name. Column Name: Give the column a name. Column Type: What type of data will be written in the column. Column Size: How many character allowed in column. Click down arrow to save the column information. Continue adding as many columns as required. Review the final script and make manual adjustments if required. 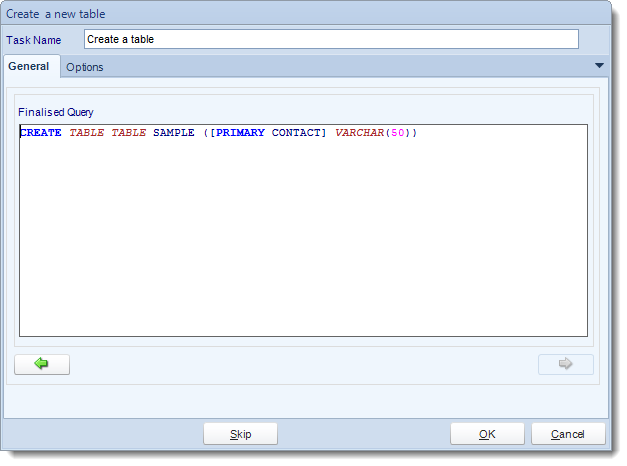 Table Name: Select the table you wish to delete from the list. *Important* This operation CANNOT be undone. Be sure of your settings before you commit to this task. It is highly recommended that you backup up database as well. 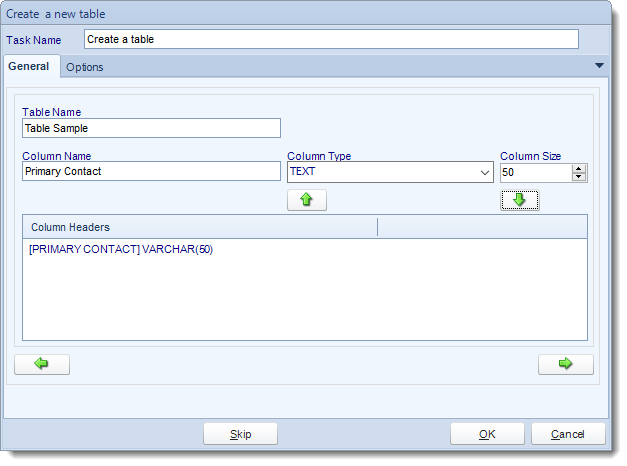 Table to Modify: Select the Table that you need to modify. 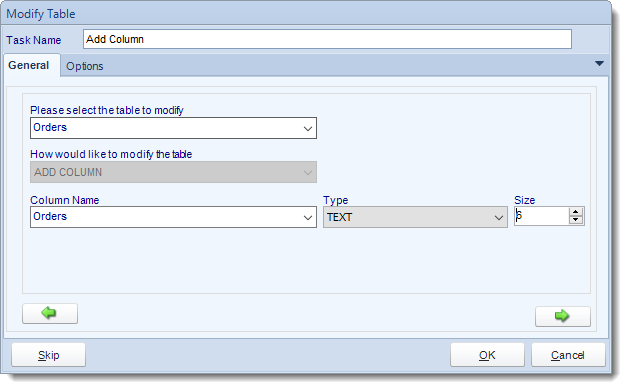 How to modify the Table: Select ADD COLUMN. 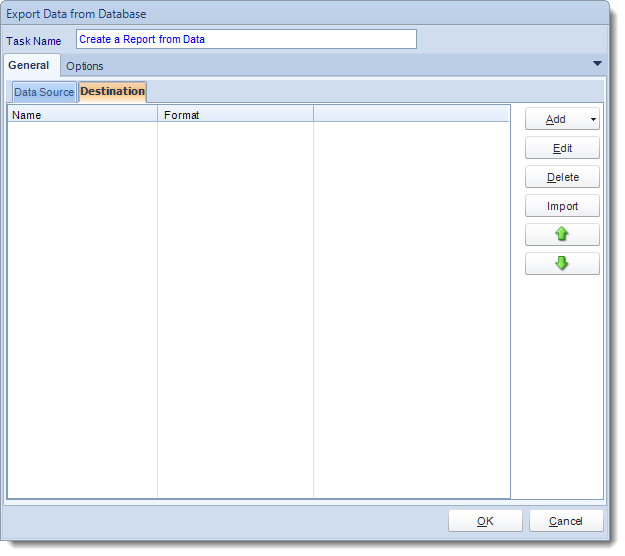 Type: Select the type of data that will be written in the column. Size: How many characters should be allowed in the column. Review the script and make modifications manually if required. How to modify the Table: Select DROP COLUMN. Column Name: Select the column that needs to be deleted. Type: This will be greyed out. Size: This will be greyed out.